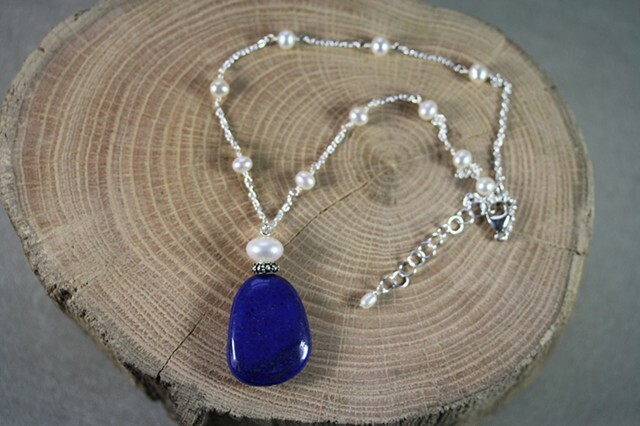 Deep blue lapis pendant with fresh water pearl and sterling accents on sterling silver chain with small fresh water pearls to add charm! Sterling lobster claw closure. Approx. 16 1/4" with 2 " sterling extender chain.